Gardening is as timeless as hobbies get. 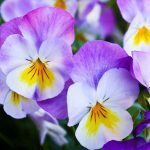 But while we’ve been growing daisies and pansies for hundreds of years, and will be hundreds of years from now, the size, shape, and colour of the most popular daises and pansies are always changing. First commercially introduced as “Million Bells”, Calibracoa is a South America genus closely related to Petunias. I was impressed on day 1 and get more impressed every year. 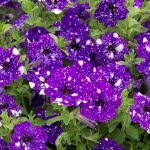 With better weather tolerance than petunias, no nasty stickiness on the leaves, and the intense ability to produce scores of flowers non-stop until the fall, Calibracoa are quickly becoming the most popular annual in Canada. The most successful series of Calibracoa is “Superbells,” which has astonished me in the past few years with its vibrant array of bicoloured flowers. “Holy Moly” flowers are yellow with mottled red across them, as if dabbed with a light brush. One of the most versatile plants I’ve seen, Calibracoa thrives in hanging baskets or containers. Give it lots of sun, don’t let it dry out too much, and fertilize it weekly. These are adorable! I don’t blame you if you don’t recognize the name; think “Pocket Book plant” or “Pouch flower.” Favourites of Queen Victoria, they’ve endured as favourites for their colour, uniqueness, and downright cuteness. 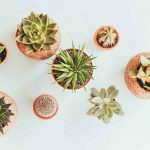 Diminutive and vibrant, they’re perfect for tabletop planters, shady containers and fairy gardens. 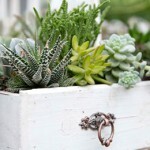 They’re a woodland plant that loves to be kept moist and thrives alongside ferns, torenia, and bacopa. The “Calynopsis” series strikes me for its ease of growth (Calceolaria used to be tricky to flower), and its long blooming season which extends from May until July’s heat waves. 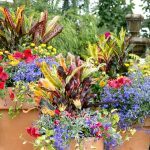 It also boasts a longer flower stem than predecessors, which makes a bigger statement in containers. Also called “Lemon Ball” stonecrop, this sedum is a treat for gardeners on the lookout for ever more unique foliage in their containers. Only a few inches high but cascading into a dense curtain about a foot long. Chartreuse began trending a few years ago and hasn’t stopped. It’s vibrant, crisp, and looks sensational contrasting with darker colours, especially violets and deep reds. Like most sedums, “Lemon Ball” is a succulent that thrives in full sun. 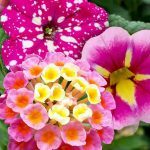 Don’t overwater it and pair with other heat lovers like Petunias, Celosia and Verbena.